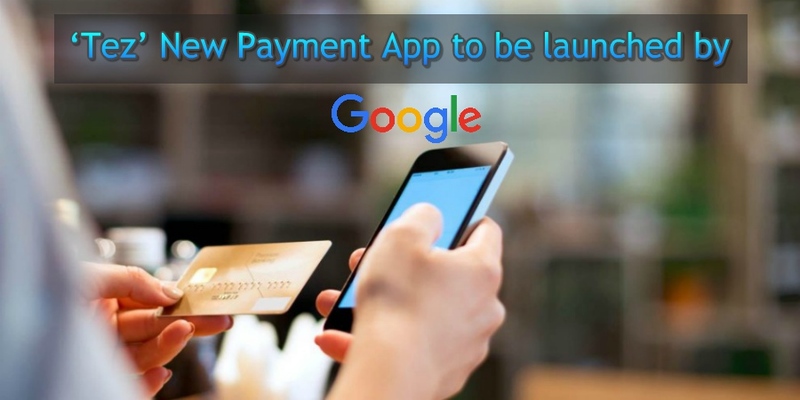 Upcoming Monday, 18 September is anticipated for the launch of new Payment Application ‘Tez’ by Google. After, Whatsapp, Uber, and Truecaller now it’s Google jumping into rapidly growing digital payment market in India, by offering its own payment solution exactly when India’s digital currency system is burgeoning. The Caesar Sengupta, vice-president, Next Billion Users, Google will launch “TEZ” at a press conference in New Delhi. As reported by GSMA and Boston Consulting Group, that Indian digital payment market is expected to touch $500 Billion by 2020. What are the Comments of Tech Giant on the “Tez” launch? What is Tez is All About? Tez will offer a unique yet comprehensive set of payment options to counter the existing payment products for instance Google Wallet or Android Pay. It will be a multi-layered application, going by the reports of The Ken. It will feature a Unified Payment Interface (UPI) that will integrate other consumer payment services, including Paytm and MobiKwik into single window mobile payment system backed by National Payment Corporation of India (NPCI). Not just limited to Mobile, according to the Ken Report, ‘Tez’’ will be available both on the play store as an Application, and for desktop, as a Chrome widget. In latest android mobile it will come pre-installed on the operating system. What is UPI based Payment option? UPI payment gateway is launched by NPCI and regulated by Reserve bank of India. This system leverage instant fund transfer between bank accounts on the mobile platform itself. Other big players are too in news to soon launch or already launched their UPI based payment application. Facebook owned Whatsapp is also in news for launching a similar payment application. Moreover, other chat option, WeChat and Hike Messenger already geared up with UPI based payment services. Surely, it is big deal as Google has spent significant resources developing its services in India. It is also first time that the tech giant has made a big push to launch a payment option on such a huge scale, outside of United States. For more updates on Google services and latest digital marketing services news stay tuned.